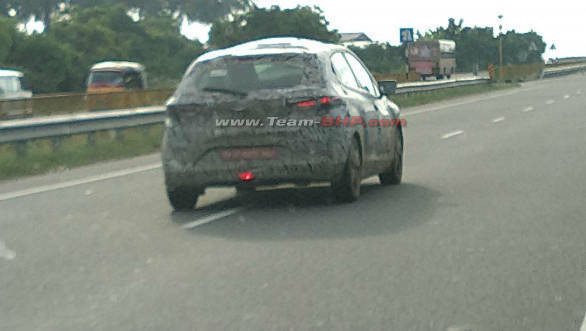 The latest set of spy images of the production-spec Tata 45X shows some interesting new details. The car is still heavily camouflaged but this test mule seems to be fitted with the production spec head and tail lamps. Like we've seen on the Harrier SUV, the front also seems to get a two-part lighting element with the high-mounted fog lamps. The tail lights also seem to be of slim and sweeping, two-part design like on the new SUV. Other than this, the premium hatchback seems to carry forward a lot of the styling cues from the concept car, although with the sharp lines toned down to a large extent. 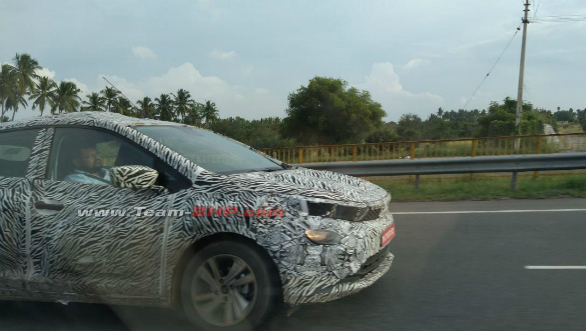 The design is still edgier than what we have seen so far from Tata Motors. The large headlamps which protrude and sit flush with the grille, heavily raked C pillar and indented tailgate are some notable design cues. We expect the cabin to feature premium materials and trims, considering that the 45X will take on the likes of the Honda Jazz and the Maruti Suzuki Baleno, both of which come well-equipped. We also expect Tata Motors to offer the latest connectivity options including Apple CarPlay and Android Auto. The other aspect that we assume will already be there is a spacious cabin, an aspect where Tata cars never disappoint.